What is Erace The Hate? Erace The Hate llc., is a social enterprise inspired by the concept of Eracism, revolutionizes peace with a defined focus on positivity and empowerment. As new-age pioneers, we stand out with media, fashion, and innovation. And we stand up for social equality, justice, education, and self-expression. Our team, The Eracists, is a collective of like-minded individuals that we call ‘social innovators’ – All of us (Eracists) have different plights, missions, initiatives, and we live them to the fullest with one common goal. This goal is the welfare of the people; the increase of the peace. In order to positively impact future generations, we have developed a new “cool”. And There is plenty of “cool” to go around. 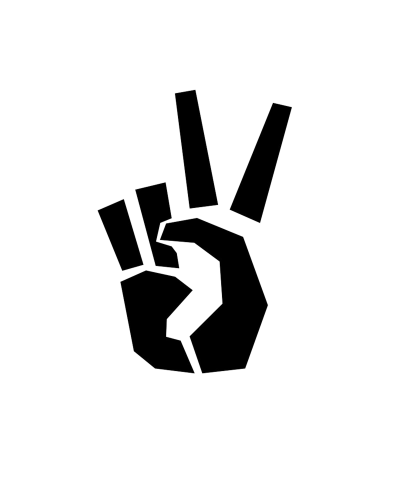 Positivity + Respect + Peace + Love = Cool … if you are an Eracist. As social adversity plagues the media, we ask Eracists to continue the connection of like-minds with the hashtag #eracethehate. Send friends and family to check out the website and encourage all to submit content to be featured. Our website is a platform connecting Eracists worldwide via art, entertainment, writing, technology, and business. In this league, we are all on the same team. You’ll get your Eracist team number whenever you decide to join the team. In this league, we all share the mission to travel our roads to success. Where we Erace The Hate, the sport is life. Erace The Hate everywhere. We challenge ourselves to focus on building legacies that will shape the future, our successors. We have an opportunity to make a difference in the community by promoting positivity, respect, peace, and love. We are advocates of social reform. We dream constructively, live productively, and live our dreams. WE ARE ERACISTS. BECOME WHAT YOU WEAR. WEAR ERACISM. proceeds from Eracism Clothing count as a act of love and proceeds support our community programming. THE PACKAGE – Each Eracism Clothing item is delivered in our hand-stamped packaging. All of our products are of eco-friendly/organic material. Inside the packaging is an E-Card dedicated to your particular item. This E-Card expresses the inspiration and purpose behind the product. Collect your E-Cards as memorabilia to reference each Eracist mission. THE LABEL – Every Eracism Clothing customer is added to our team of Eracists in the “League of Extraordinary Dreamers”. On the label of every item purchased beginning with 2nd Edition apparel and accessories, your Eracist Number will be handwritten, stamped, or embroidered for authenticity. This number remains for your lifetime as an Eracism Clothing customer. Your number is assigned based on your initial contribution or purchase and declares that you as an Eracist will encourage peace and positivity amongst our human race.